The second event was the lighting installation at the The Westin Excelsior in Rome. 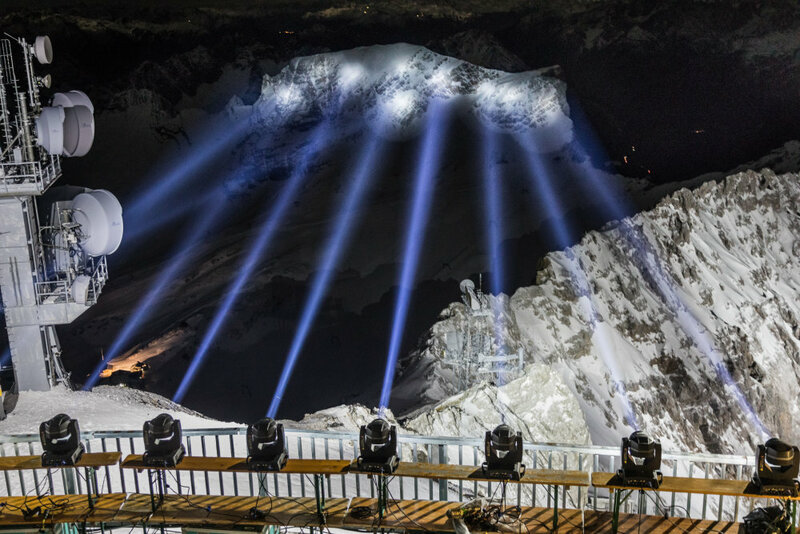 Now the illumination at the top of the Zugspitze crowned the celebrations commemorating the 110th brand anniversary. 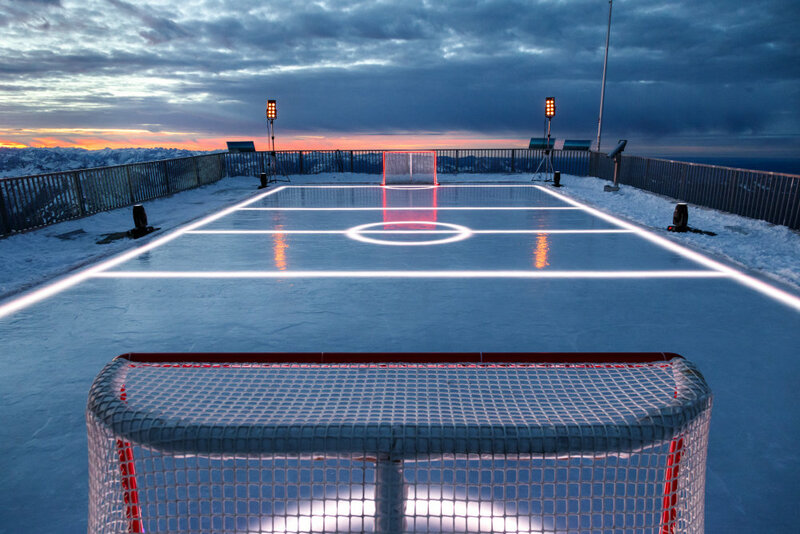 The event was attended by some of Germany's best ice hockey players. 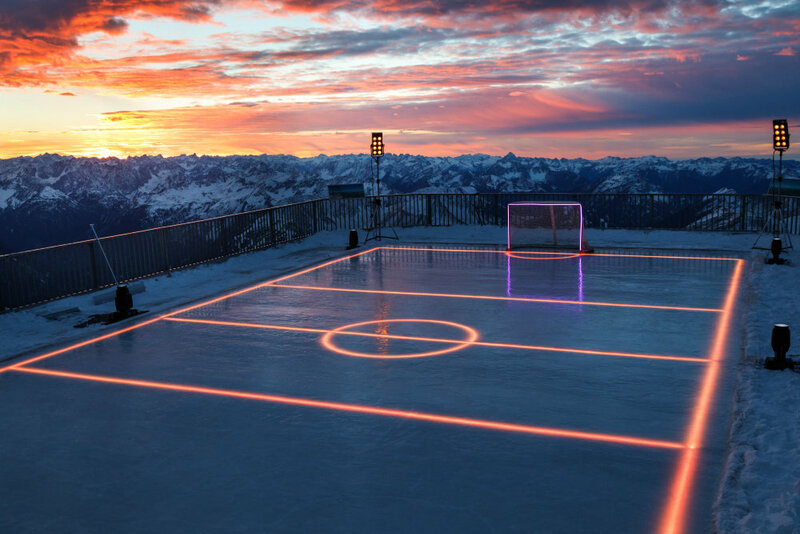 Eight members of Germany's championship winning team, EHC Red Bull Munich played an evening ice-hockey game against a stunning alpine backdrop, with the help of high-tech lighting provided by Osram. 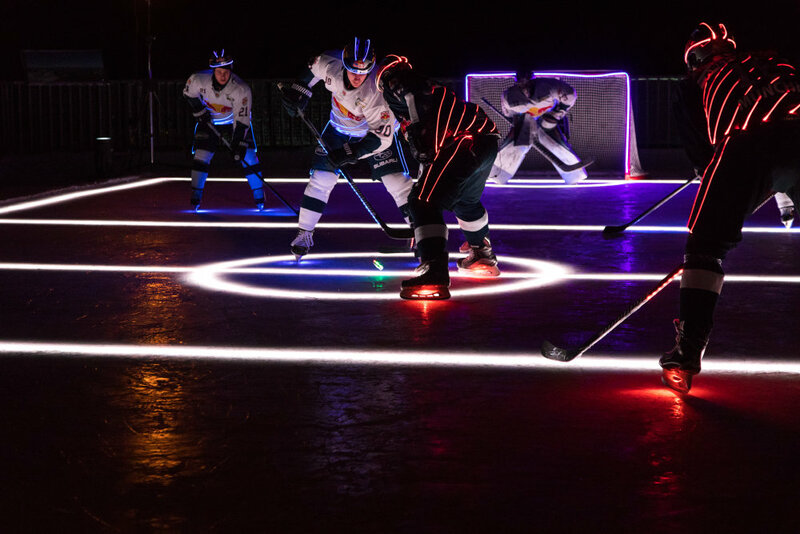 Eight members of Germany's championship winning team, EHC Red Bull Munich, played an evening ice-hockey game against a stunning alpine backdrop, with the help of high-tech lighting provided by Osram. 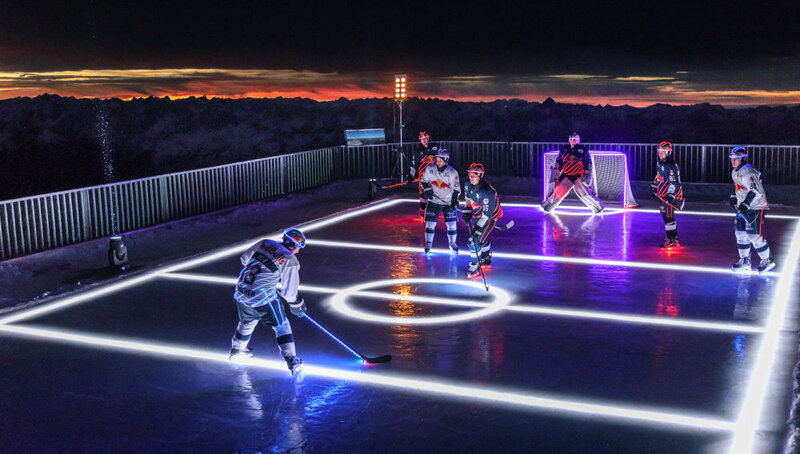 With the game taking place in the background, the Munich lighting company unveiled its latest world first to a broader public. 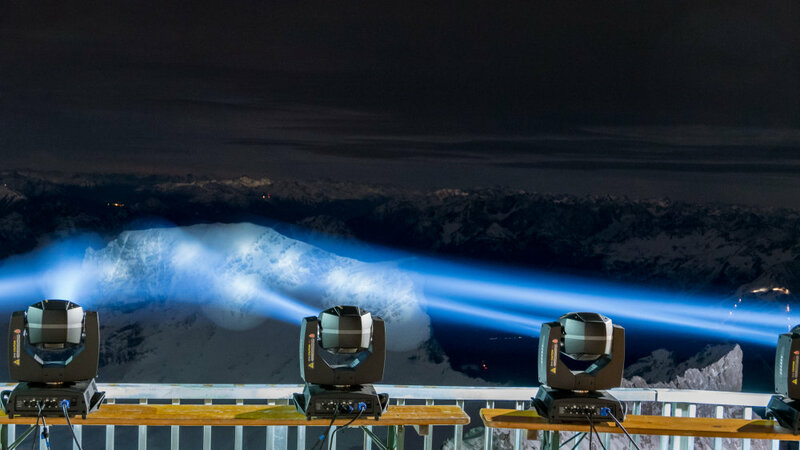 In 2017, the company will be introducing LED lighting integrated into fabrics. 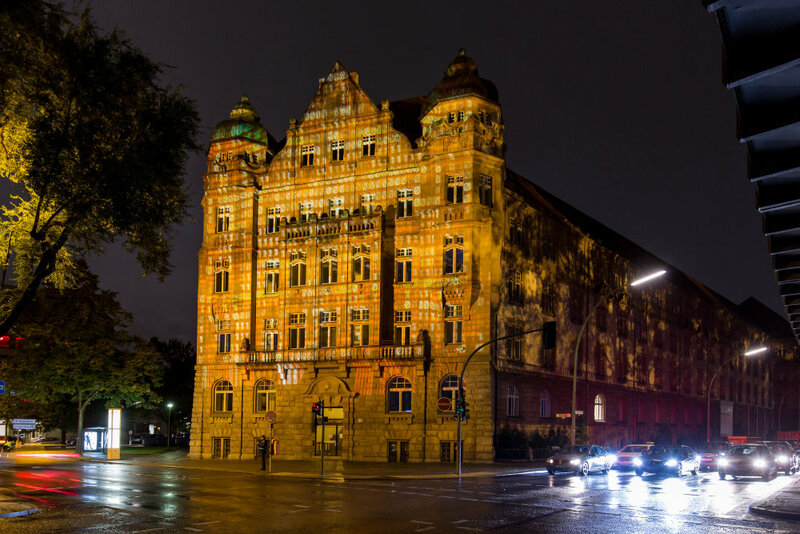 For the Festival of Lights in Berlin OSRAM created an installation to bathe the former Imperial Patent Office in impressive light. By day, the former Imperial Patent Office in Berlin is an imposing sight, as majestic as any castle. 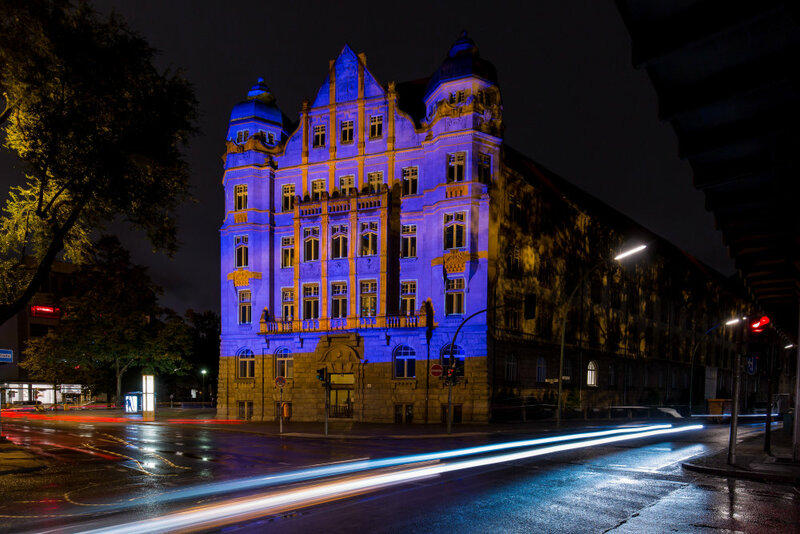 But after sundown its façade turns into a huge canvass for a spectacular lighting installation that OSRAM is presenting as part of the Berlin Festival of Lights which runs until October 16. The Imperial Patent Office, now one of the sites of the German Patent and Trade Mark Office, was chosen because it is in effect the birthplace of the OSRAM brand. 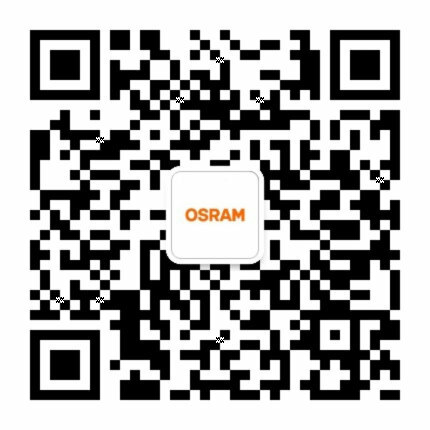 The name OSRAM was registered here 110 years ago as a trademark for “electrical incandescent and arc light lamps”. 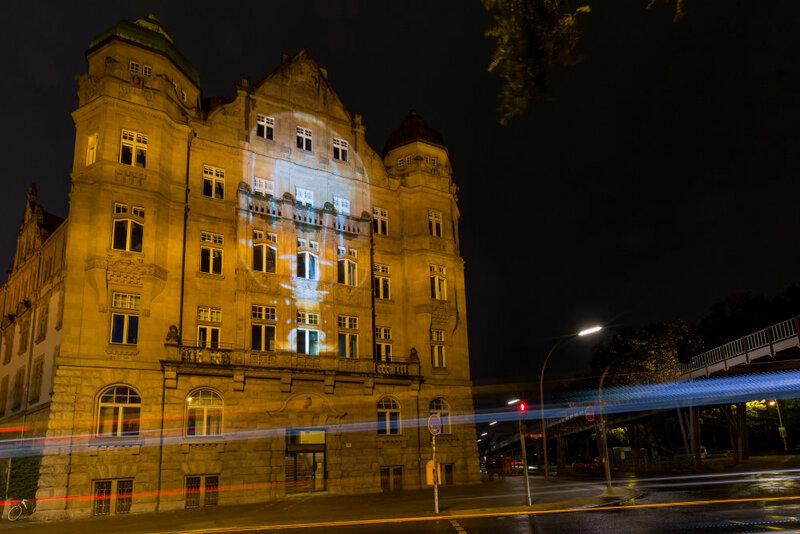 The lighting installation, a three-dimensional video projection that ran for about five minutes, charted the development of light and therefore included milestones in the history of OSRAM. 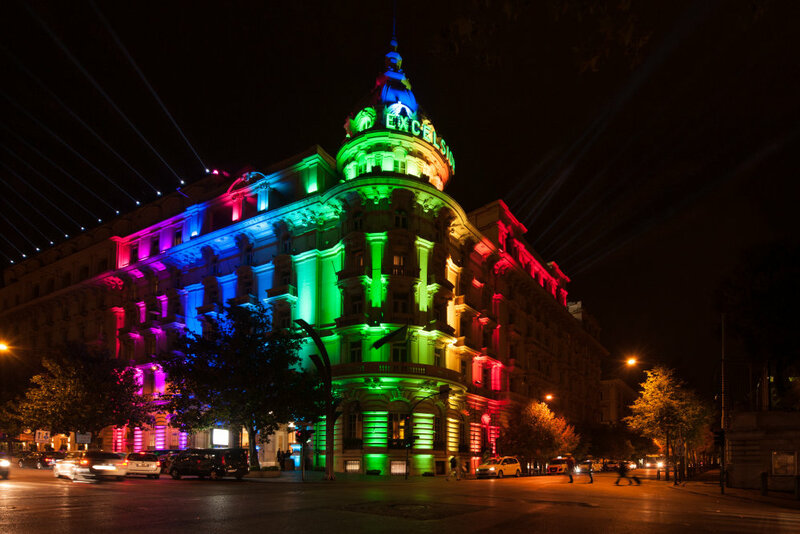 Filaments shaped themselves into golden ornaments, fluorescent tubes created patterns on the façade, and high-intensity gas discharge lamps and LED floodlights provided a colorful show, all followed by pioneering lighting applications with digital and connected light for buildings and cities, with laser light and with infrared light to present OSRAM as a high-tech company. 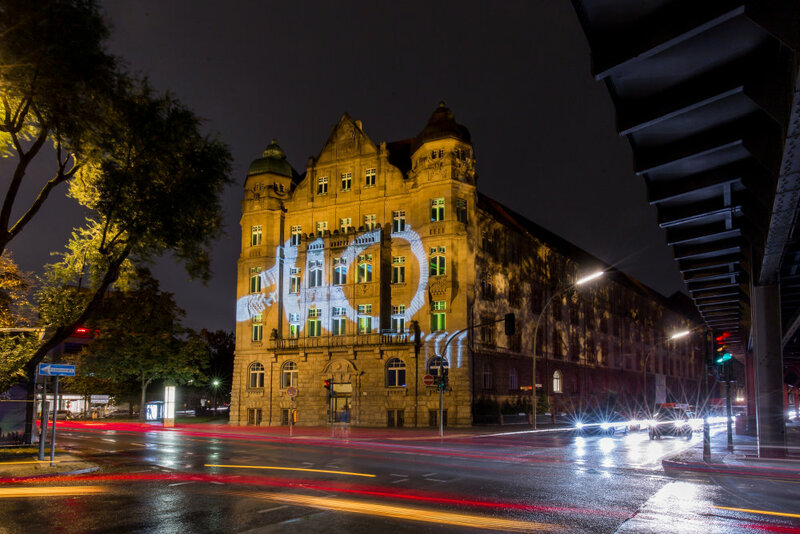 ​Following the video projection shown at the Patent Office in Berlin during the Festival of Light in October, this was the second lighting installation being presented by OSRAM for its brand anniversary. 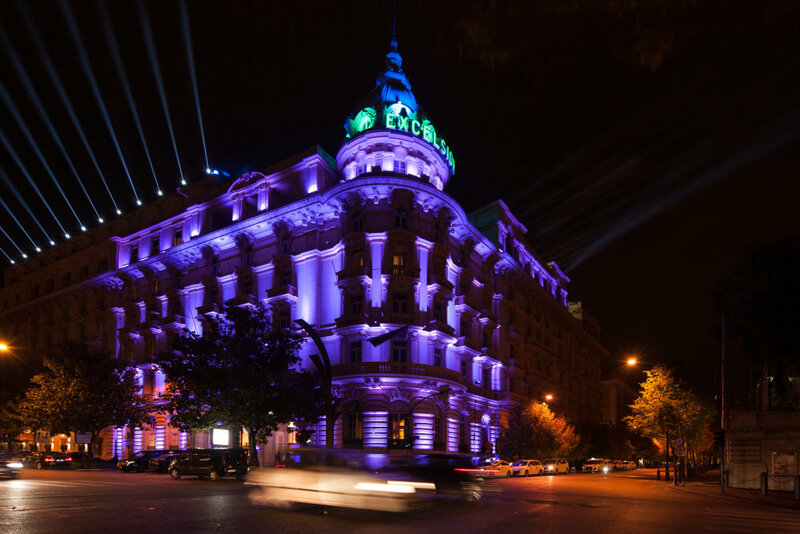 For two weeks 100 luminaires from OSRAM subsidiary Claypaky illuminated The Westin Excelsior Rome, designed by the famous architects Emil Vogt and Otto Maraini. The lighting installation was designed by lighting designer Giovanni Pinna. 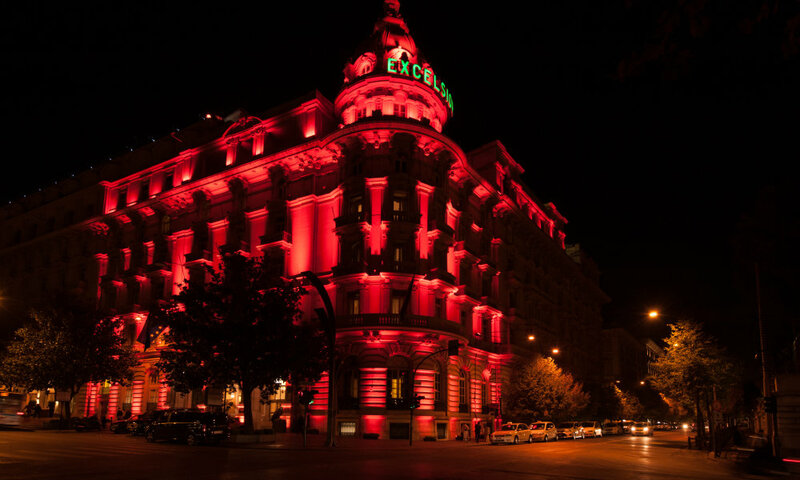 The Westin Excelsior Hotel in Rome was opened in 1906 and is therefore celebrating its 110 years anniversary. 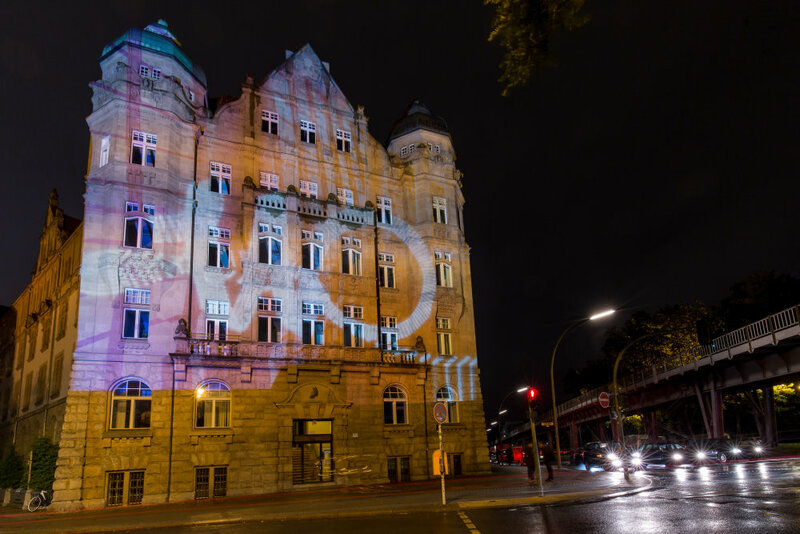 To mark the occasion, OSRAM illuminated the venerable hotel, whose past guests have already included celebrities like Pablo Picasso, Elizabeth Taylor and the Rolling Stones. The celebrations of Westin Excelsior continued with an exclusive event in collaboration with UNICEF, when the hotel hosted 18 talented kids part of “Orquestra reciclada” from Paraguay. The Hotel supports UNICEF since 1991. 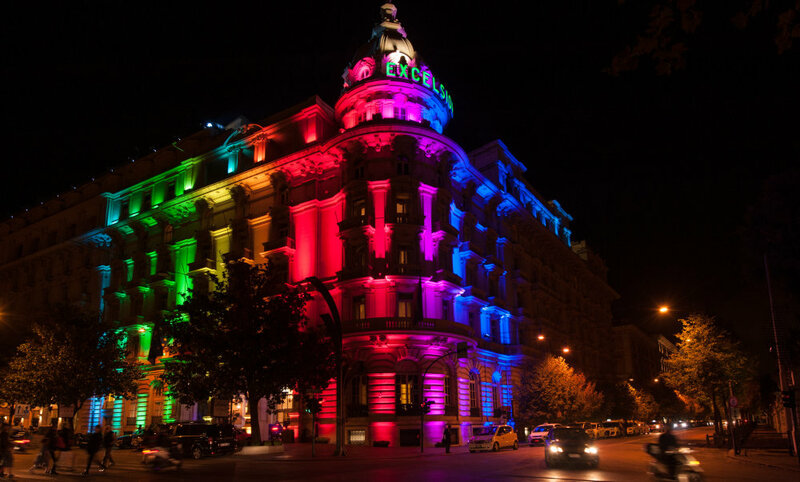 A creative and colorful orchestration provided the heart of the Italian capital with spectacular lighting highlights.